Puerto Aventuras is a private gated community located 20 minutes south of world famous Playa Del Carmen and 30 minutes north of Tulum. It had a 2010 census population of 5,979 inhabitants. If you are thinking about vacationing or living in this beautiful destination you will not be disappointed. Travelers to Puerto Aventuras can enjoy their vacations in the comfort of Luxury 5 Star Hotel accommodations or you can choose one of the all inclusive or 4 star options available. Puerto, as it is called by the locals, also has a 9 hole golf course, tennis courts, scuba diving, shopping, fine restaurants and a nice beach. Puerto's deep water marina is a safe haven for sailors cruising the Caribbean, sport fishermen and larger yachts as well. It is one of few mainland marina facilities between Cancun and Belize City. And at Puerto Aventuras you can swim with the dolphins, go sailing on a catamaran, spend a day deep sea fishing on a sport fisherman, or just swim & sunbathe at the beach. If you want more of the comforts of home while on Vacation in Puerto Aventuras you can rent one of the many condos, villas or houses that line the beach, marina, and golf course. 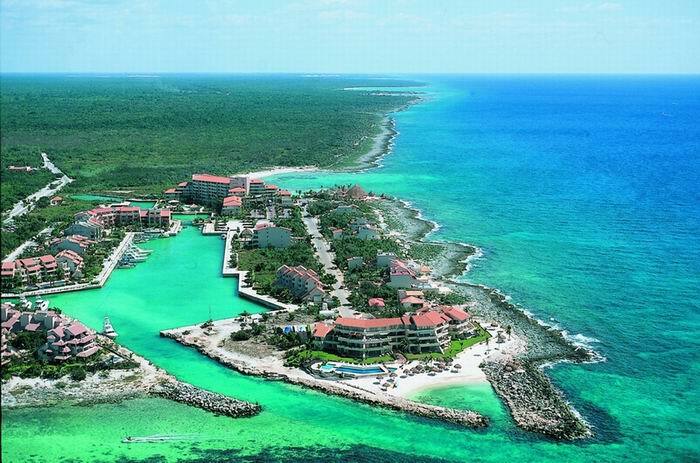 Puerto Aventuras has everything from Studios on the Marina to Luxury Real Estate Homes on the Beach and Golf Course that can be rented by week or month, most are luxury furnished and have maid service included or available. Whatever option you choose for your visit to Puerto Aventuras you will find so many activities, restaurants and shopping just a short walk from your door. 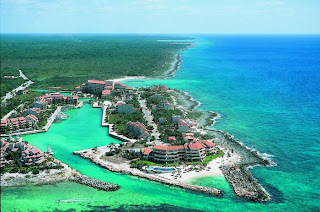 Once you visit Puerto Aventuras it will certainly give you another good reason to live here.